At Professional RV Inspections, our mission is simple; to educate and inform RV buyers, sellers,​ lenders, current owners, insurance and extended warranty companies on the condition of the RV they have an interest in with an in-depth, independent, 3rd party inspection followed by a detailed report, with photos, showing potential issues or hazardous conditions. As RVers ourselves, we understand that the purchase & sale process, maintenance and operation of an RV can, at times, be frustrating. 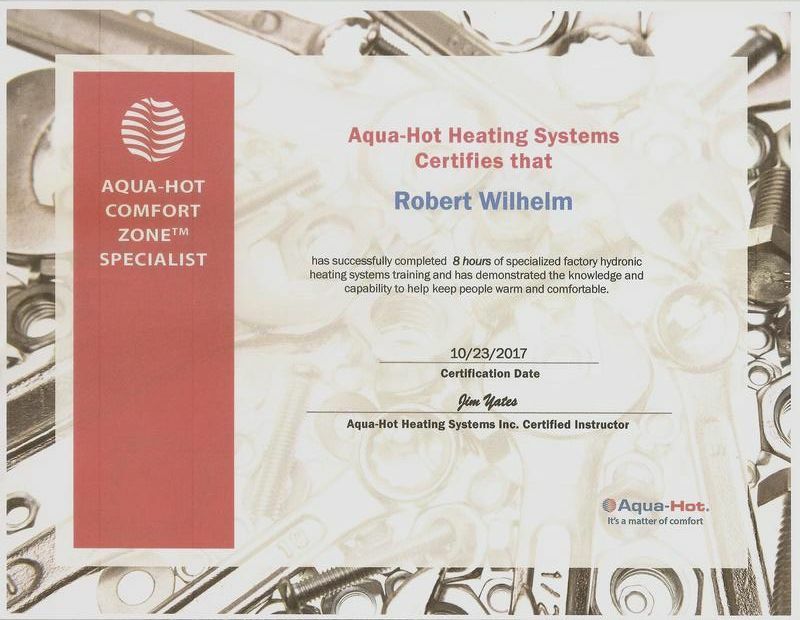 We want you to be informed and satisfied with your RV purchase and understand its operation, so you will hopefully continue to enjoy the RV lifestyle for many years to come! WE DON’T WANT GOOD PEOPLE TO BUY BAD RV’S! 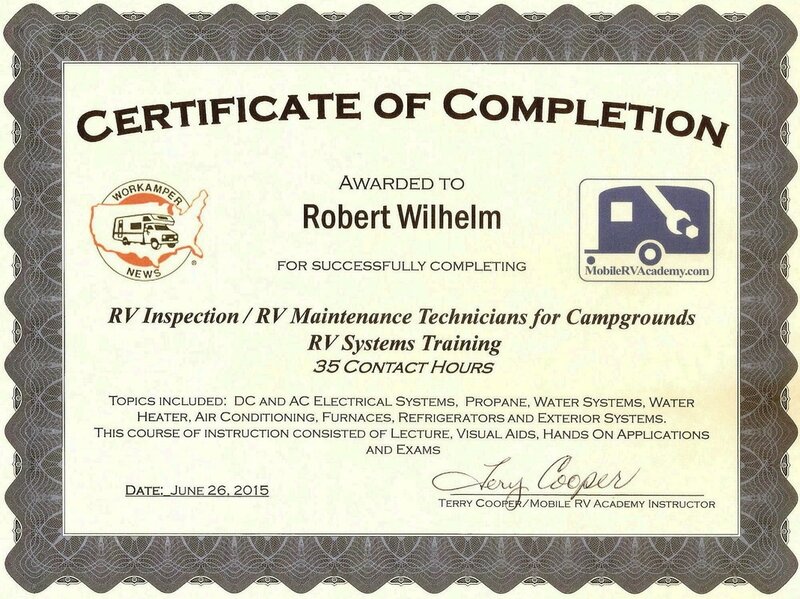 In addition to our comprehensive inspections, we can also show you basic set up and operation of your RV! This can be a valuable service for novice RVers. 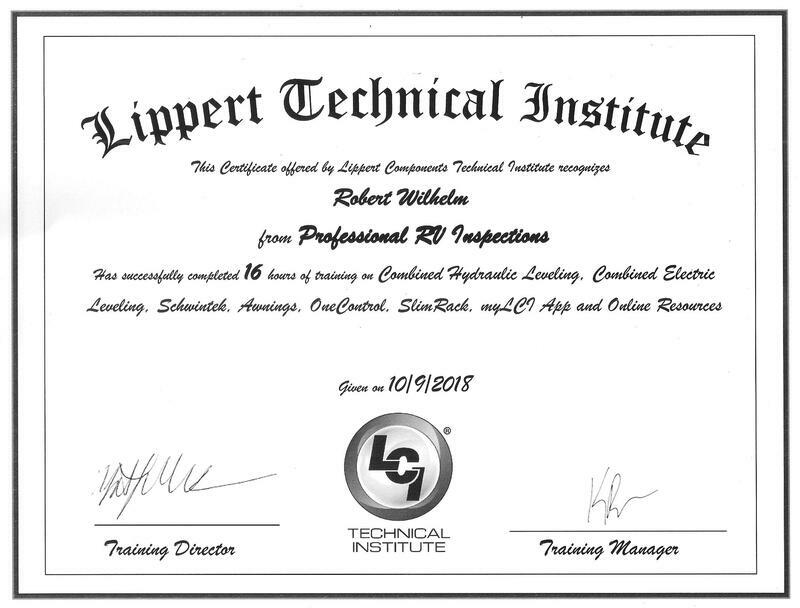 Professional RV Inspections, LLC is based in Algonquin, Illinois and is owned and managed by Robert and Donna Wilhelm. Both are avid RVers, owning and maintaining several units over the last 20 plus years. Over the years, they have taken many wonderful cross country and local trips and have created lasting memories for their 3, now grown, children. 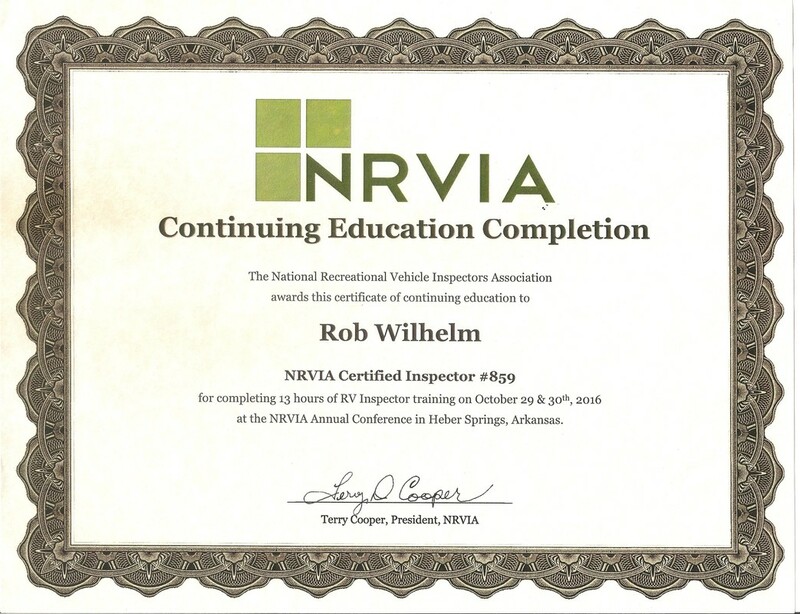 Robert is certified by the NRVIA (National Recreational Vehicle Inspectors Association) as a Level 2 (Advanced) inspector and has performed RV inspections all over the Midwest - and beyond, including Illinois, Wisconsin, Michigan, Ohio, Indiana, Iowa, North Carolina and Nevada. 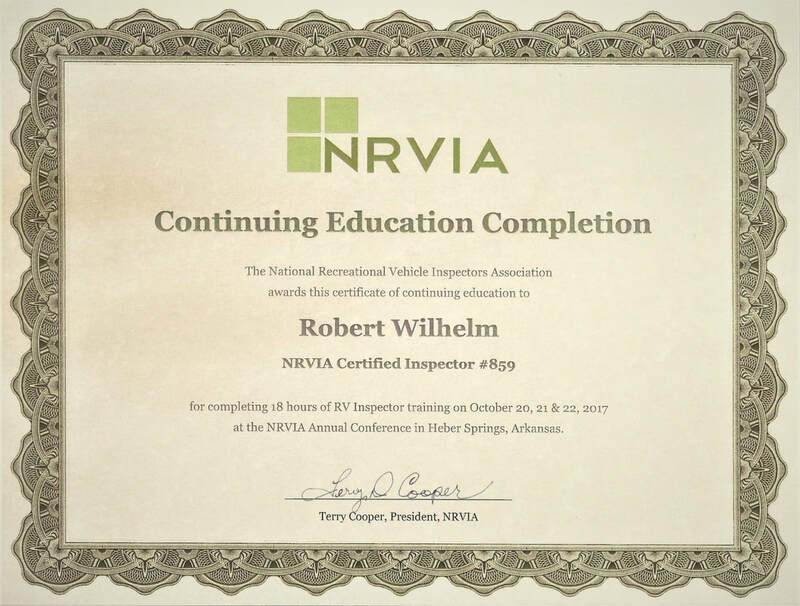 One of the certifying requirements of the NRVIA is to accomplish a minimum of 24 hours of RV related continuing education per year; we continue to go well beyond that minimum requirement!. Visit our Customer Reviews page to see what others have said about our inspections. 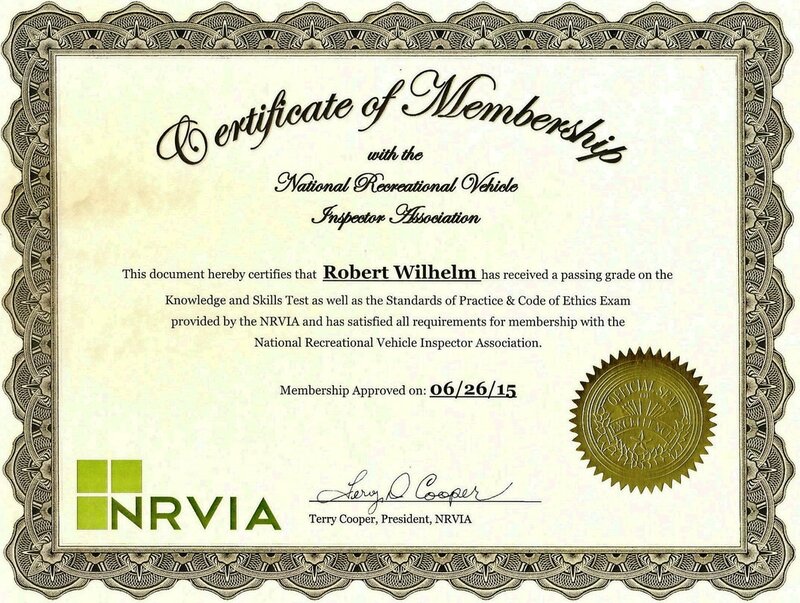 The NRVIA was established to provide increased awareness to the importance of quality RV inspections and to enhance the professionalism of RV inspectors. 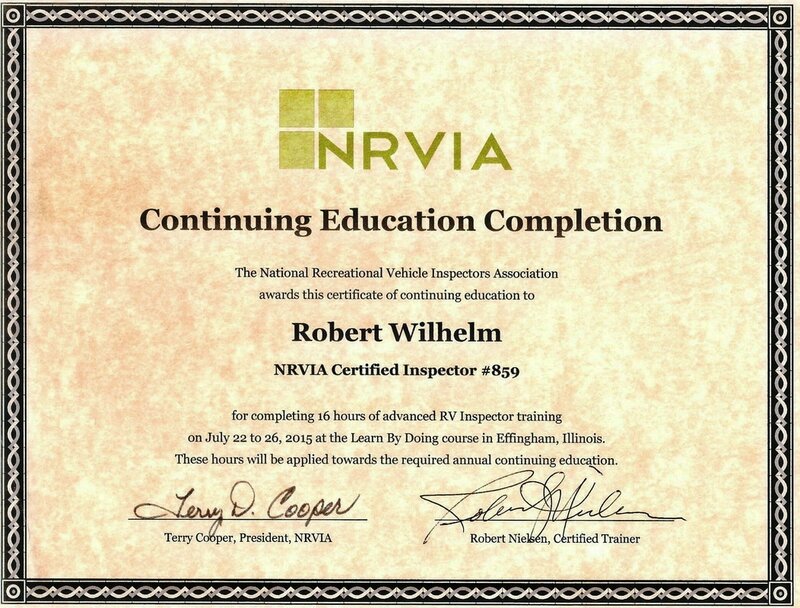 The mission of the NRVIA is to set and promote standards for recreational vehicle inspections and to develop a network of certified, professional RV inspectors across North America that have undergone a strict, standardized testing and certification process to ensure that the end consumer is getting a quality inspection by a true professional bound by a strict Code of Ethics. 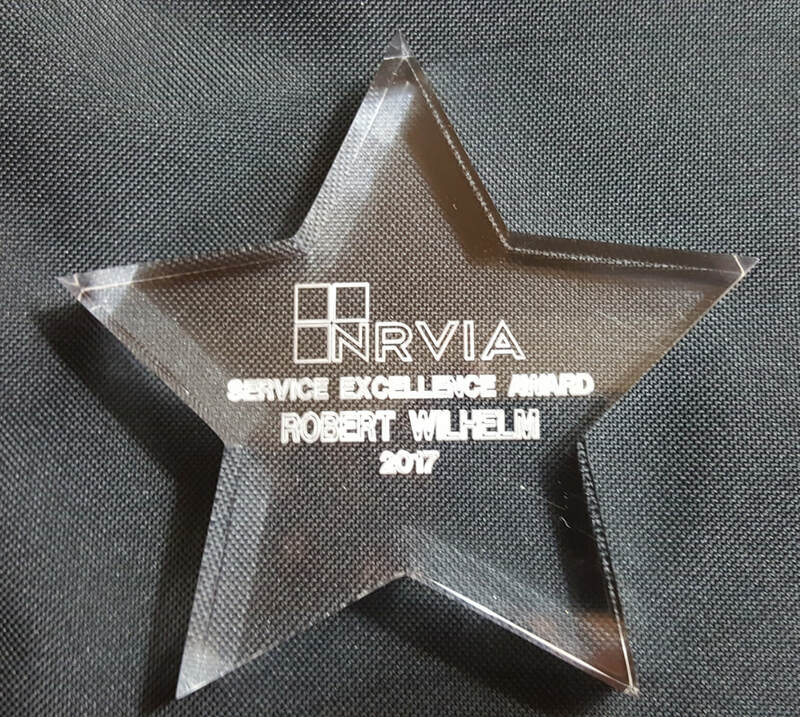 NRVIA Member of the Month for June 2017! Disclaimer: An RV inspection by Professional RV Inspections, LLC is not in any way to be considered a warranty or guarantee (expressed or implied) on the unit being inspected. It is simply a “snapshot” of the condition of the unit and the items inspected at the time of the inspection, based on the inspectors’ opinion. Professional RV Inspections cannot and will not be responsible for the condition of the RV after the inspection.